All games will take place at Wings West, located in Kalamazoo, MI. Both the DI and DII tournaments will occur simultaneously at Wings West with the DII Championship game occurring immediately before the DI Championship game on Sunday afternoon. For information about the CCWHA DII playoffs, please click here. 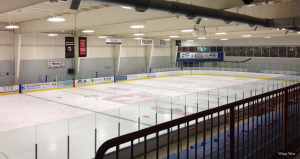 Wings West (formerly known as S2 Ice Arena) was built in 2002 and holds two NHL-sized ice rinks. Both the 2009 and 2010 CCWHA Championships were held at this location as well as the 2011 and 2016 ACHA Women’s National Championships. Wings West were also the home arena for former member, Western Michigan Mustangs before they ceased operations in 2011. 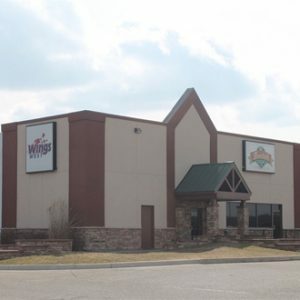 Wings West offers a full-service restaurant (Burdick’s Bar & Grill) which overlooks one of the arena’s as well as a pro-shop, concession stand and space for private parties. For more information on Wings West, please visit their website. For a map of the arena, please click here.